Here at Hyegraph, we love creating unique wedding invitations for our Bay Area couples. Over the years we’ve created stunning invites matching our client’s personality and theme. 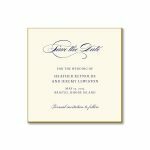 Some of the ones that come to mind are an invitation we created for a Hawaiian Wedding we did a few years back and a Napa Inspired wedding we did recently. 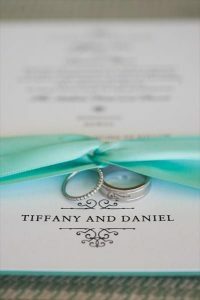 Above is a stunning Hawaiian Wedding Invitation photo captured by Visionari.com. This photo was taken of our bride and groom Tiffany & Daniel in Honolulu Hawaii. You can read more about it on our blog, Tropical Wedding Invitations for a Hawaiian Wedding. I’m sure our bride and groom had an amazing wedding and honeymoon telling from the wedding photos published on the knot. Another favorite wedding destination for Bay Area couples is Napa, California. Over the years we’ve done our share of Napa Wedding Invitations. One we created recently is Annettte & Matthew’s Napa Inspired Wedding Invitations. Napa is the perfect destination for our couples because it’s nearby, yet a whole other world. Napa is the opposite of San Francisco because of it’s countryside towns, fresh air and laid back atmosphere. We love working with our couples for their fun destination weddings. 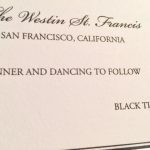 If you would like Hyegraph to help with your wedding stationery, be it Invitations, Save the Dates, Programs or other custom printing please contact us via email: info@hyegraph.com, Call Us at 415-626-0461 or visit us at 3 Embarcadero Center, SF, CA. You can also shop online for similar ideas.